Hi there, today’s topic is dedicated to learning new things. Last year I’ve learned so much: how to make games, marketing, react native, startup foundation, even some web development, many frameworks, learned about investments, and so much more. I read around 40 books, the first time in my life. Just before I was reading 5-8 books a year. In this post, I’m going to share some ideas and tools I’ve used to learn. I’m going to cover each topic in details and share tools I’ve used. Before learning something, you need to identify the purpose of learning. It has to be related to what you are doing and must be important to you. There is a high chance you will drop the learning without a clear purpose. The purposes like “just to learn new things” or “probably will need in future”, are bad purposes. You need to know why exactly you need specific knowledge or skills. Along with the purpose, you have to set a measurable goal, so you can record your previous results and new results. For example, you know that there is a coding interview in few days so that’s a good time to read “Cracking the coding interview” book because it will be helpful, that was the purpose, and the goal for this purpose is to solve 7-10 / 10 problems. Record how many problems you can solve at the beginning then compare the results at the end of the learning. So this way you can get if you reached your goal. Or another example, your app is going to be released soon, or already in AppStore, that’s the perfect time to obtain some knowledge about app marketing, that was the purpose. And the goal is to increase organic downloads by 50%. You see what I’m talking about. Study the material that will be useful shortly. And if you are reading the book, don’t be afraid to skip some sections which are not relevant to the topic. At the beginning of the year, I was studying things which weren’t relevant to my job. I thought it will pay off in future, and I will need the knowledge I was learning. But it’s not. Because if we don’t use what we learned it will eventually be erased from our memory, which means you wasted your time for nothing. That’s why you need to think about your mid-term(something between short-term and long-term) goals. So, now I study new material weeks before I need it. That way I can put a deadline for me to study, I’m not in hurry and do not stress out. You need to start with the question: “why you want to learn something?”. And it is not related to purpose, it’s about your mindset and deep personal values. When I’m talking about the purpose I mean the topic you want to explore, it’s short-term perspective. Whereas desire is the more general thing and it’s about your personality. The most likely you will procrastinate if you don’t have the will to study. You need to seek genuine desire to learn and become better in something and overall. Otherwise, you’re doing something you don’t want to do or trying to be someone you’re not. That creates a friction, which is not supposed to be. To get the desire to learn new things or in particular field, you need to change your mindset. And think what you actually can get from learning something. What I found interesting, the desire to learn new things came to me over time. In the beginning, I had almost no motivation, but once I started something and saw the results I made, my self-confidence boosted. Then I thought why not try to study other things. Later I become more selective about new topics I wanted to discover because there wasn’t enough time to spend. And here is the point you start digging into yourself, to know who exactly you want to be. And what exactly you should learn to be the one. You can be excited about new things you’ll discover, but boredom will finally take over if the process of study is monotonous. The learning process has to be interesting. And don’t think that it doesn’t depend on you whether it’s interesting to you or not. You can always change the study approach, and try to learn differently. For that reason, try to mix the learning techniques and use gamification strategies. For example, switch between theory, practice, and resting. Yes, resting is also part of learning. While you resting your brain makes new neural connections and processing the information you tried to remember. So, here is the tricky part: procrastination is a good thing only if you hard worked before you started procrastinating. Now, use this knowledge as gamification strategy. Put some small goals before studying the material, next start learning the process and once you reached your goal, reward yourself with some procrastination, and repeat. I like to put some challenges myself and observe how far I can get. You can use this as a gamification strategy. Record your results and try to beat them. First, try to reduce the noise in my life. By saying “noise”, I mean things that distract you and don’t matter much. I check social networks once in 1-2 weeks, I don’t have an Instagram account. Do not subscribe to any channel on YouTube, Telegram unless it related to the topic you’re learning or working with. Second, learn the “speed skills”: Speed reading, speed listening, speed typing. I can proudly say that I’ve mastered speed listening, my usual speed is 2x when listening to something. And if the content seems incomprehensible, it changes to 1.5x. Speed typing and blind typing is the number one skill for any software developer by my opinion. So you write quickly but most importantly you’re not disturbed by concentrating on typing. And I still working on my speed reading skill but having a hard time with it, because I read material in 2 languages. Your study time should be always, but don’t worry it doesn’t mean you gotta sit and read all the time. The are many ways to do so. For example, I do not listen to music when I’m walking, cleaning or doing a mindless job, instead I listen to podcasts or audiobooks. I use standard Podcast and iBook apps on my iPhone. I take one MOOC once in a month. 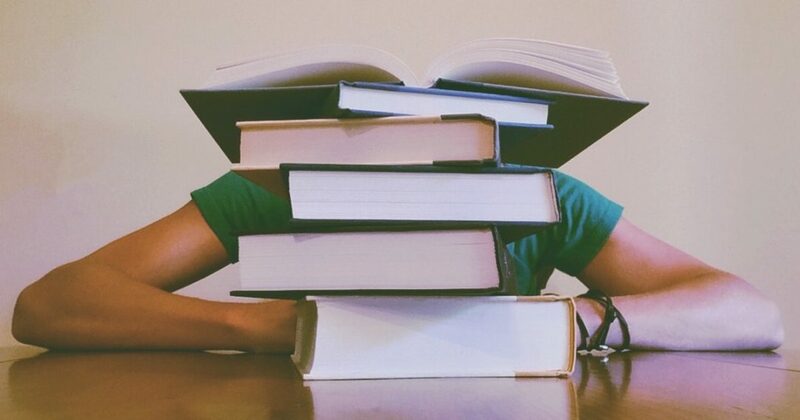 Take courses on Coursera.org(a lot of free but useful courses), udemy.com(mostly paid courses) or another platform, usually study time takes less than 30 mins a day. Right now I have about 10 books I should read next, 3-4 courses I will take, 2-3 skills I will learn. If you don’t where to start, think about the thing you always wanted to do, then learn what knowledge you should have to master the subject. After, divide the material into pieces, and go for it by learning bit by bit. I love to use GitHub lists for learning purposes, lists like awesome iOS. That list contains almost everything you need to know to master iOS development: libraries, courses, podcasts, tools, resources and so much more. Someone already collected almost everything you need for you, you just need to go and get it. There are more Awesome Lists, I strongly encourage you to check them out. Wow, that was a huge learning curve 😄. How long did it take? I guess you’re in a process of learning something new now?